In an increasingly conflicted and confusing media landscape the team at Worldview Exchange are building a platform to enable consumers to make better sense of the news, and themselves. Worldview Exchange came from the insight that, despite a real increase in choice of news media online, we are only getting fed content we’re likely to agree with. Also, that social media platforms were failing to provide people the space to start meaningful conversations about their views, values and beliefs without being abused,” said founder Rich Shannon. As a start-up, often it’s tough to find the right people to help generate the best outcomes for success. 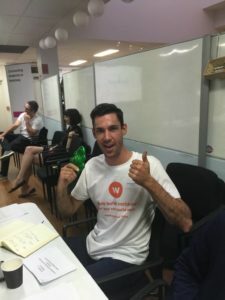 Founder of Worldview, Richard Shannon, originally connected with Ribit at a Brisbane speed dating event at River City Labs, where he also picked up the “Best Pitch Award” (pictured). After speed networking with a variety of students, Richard then posted the job on the Ribit.net platform – a free jobs matching platform connecting students to businesses for jobs. It was there that he connected with Liam Cripwell, a recent QUT Graduate Software Engineer. Liam had been referred to the Worldview job by a friend who recognised that both he and Richard had a shared interest in Neuro-Linguistic-Programming (NLP). This is what Ribit is all about: a connected community of students and businesses. Whether it is through an event, a contact or a job on the platform, the network is making matches that matter. “I would definitely recommend Ribit to any other students looking for an opportunity to explore a specific area within their field of study. I hope to continue working on exciting problems at Worldview into the future.” said Liam. As a self professed, non-technical founder, Richard had been outsourcing the development and build of the MVP to external contractors and had found that they didn’t always align with the demands of Worldview being remotely located and at times a costly exercise. Liam immediately stood out to Richard. “Liam is exceptionally capable and really switched on. Often, when working for a start-up you’re required to be pretty versatile in your duties. Essentially, you’re thrown in the deep-end. Liam has been nothing short of exceptional in his ability to pick-up new skills very quickly,” said Richard. 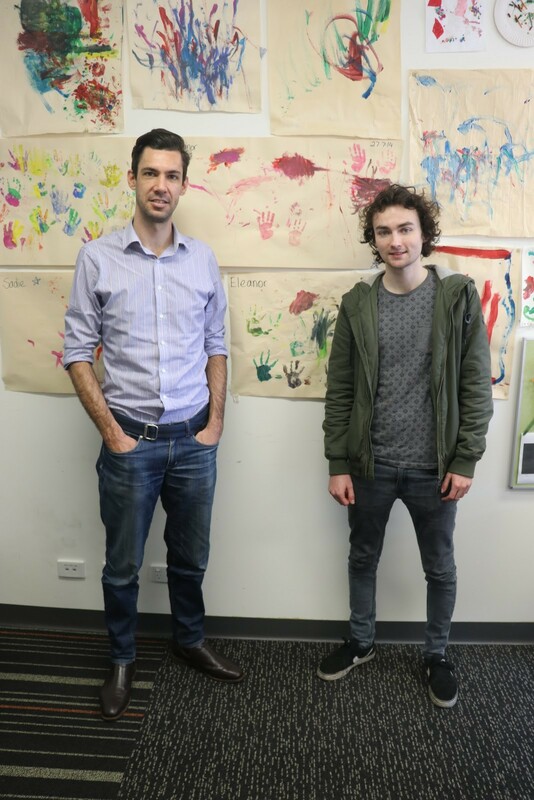 By working with student talent like Liam, Richard was able to get help on all aspects of the business from algorithm production to strategy and growth development. And he was able to do this flexibly, face to face whilst providing a student with a meaningful work experience related to his study.